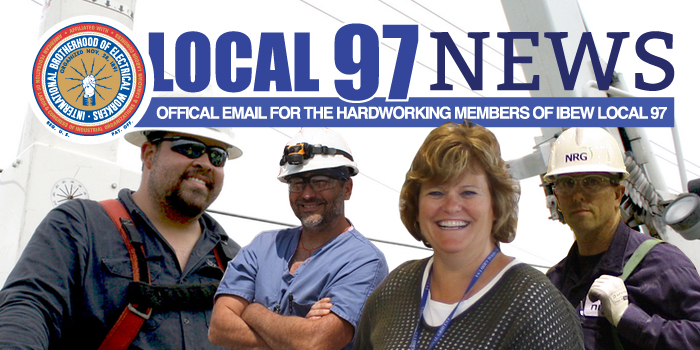 Local 97 believes that communication is key in building a strong union. A smarter and stronger union is an informed and educated one! So be sure you are getting the IBEW Local 97 News email. This email is sent directly to the members of Local 97 about rallies, public hearings and events. The Local 97 News also informs you about charity and social events, political action and issues important to you. To recieve the occasional text message alert from 97 make sure to fill in your cell phone number below!